Time to sell your Royal Gulf Beach & Racquet condo? Read about today's resort-market condo buyer. Royal Gulf Beach & Racquet Club condos are located at the Kiva Dunes section of Gulf Shores, Alabama just off of Fort Morgan Road. These condos are approximately 14 miles west off Highway 59 and fairly secluded compared to the vast majority of condos on the Gulf of Mexico in Alabama. 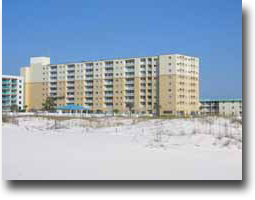 Royal Gulf Beach & Racquet Club is comprised of 141 condos built in 1984. The floor plans range from two-bedroom units with 800 square feet of space to three-bedroom condos with 1,200 square feet of space. Amenities for Royal Gulf Beach & Racquet Club condos include a tennis/racquetball area, covered entry, BBQ area, exercise room, meeting room, outdoor pool, kiddie pool, spa/hot tub, and a steam room/sauna. Developments similar to Royal Gulf Beach & Racquet Club include Gulf Shores Plantation, Gulf Shores Surf & Racquet Club, and Plantation Palms. Discover more Gulf Shores condos for sale by using our Quick Search feature, interactive maps, and pre-defined search links. 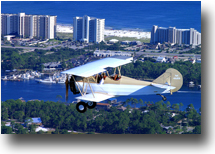 We offer exclusive aerial imagery, rental revenue numbers and closed dated & recently sold prices of Gulf Shores and Orange Beach condos. Please let us know if you would like further info for Royal Gulf Beach & Racquet Club or any other condos, homes, or real estate along the Gulf Coast or would like to schedule a private viewing by emailing info@condoinvestment.com or by calling 251-Area-Pro (251-273-2776) for immediate assistance. Click here for aerial photos of the Royal Gulf Beach and Racquet Club condominium in Gulf Shores, AL.